PSC Ebtedayee Exam Routine 2018 has been found my website. PSC Exam and Ebtedayee Exam Routine 2018 have been published by the Directorate of Primary Education (DPE). This year PSC Primary School Certificate (PSC) and Madrasa (Ebtedayee) exam will be held on 18th November 2018 (Sunday) and continue up to 26th November 2018. PSC/Primary school certificate examination is also known as Prathomik Shikkha Somaponi Porihkkha. In Madrasa education board it is known as Ebtedayee examination. Primary School Certificate (PSC) are entitled total Six (6) subjects like English, Bangla, Bangladeshi and Bishwo Porichay, Primary Science, Religion & Moral Education and Mathematics. 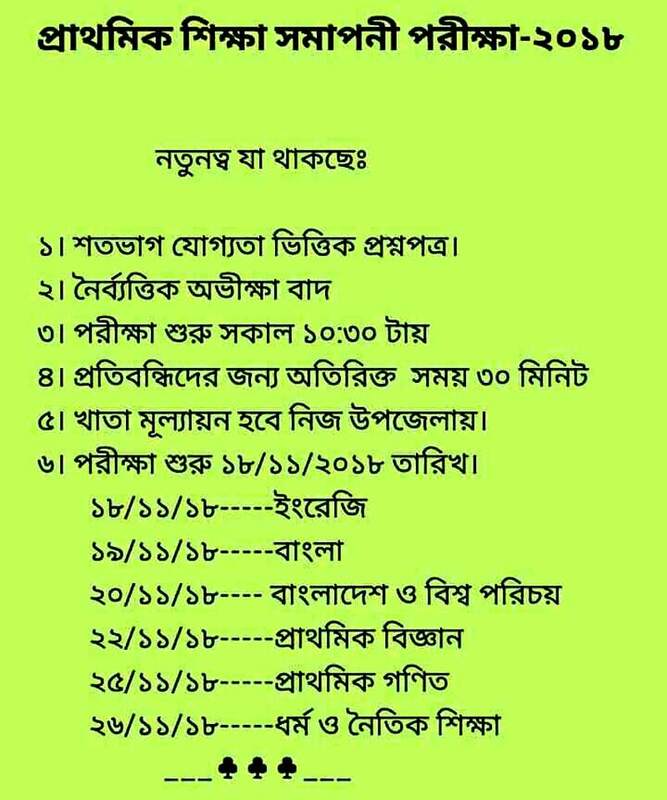 On the other hands Ebtedayee also total Six (6) subjects like English, Bangla, Bangladeshi and Bishwo Porichay and Science, Arabi, Quran and Taj be and Aqaid & Fiqah, and Mathematics. 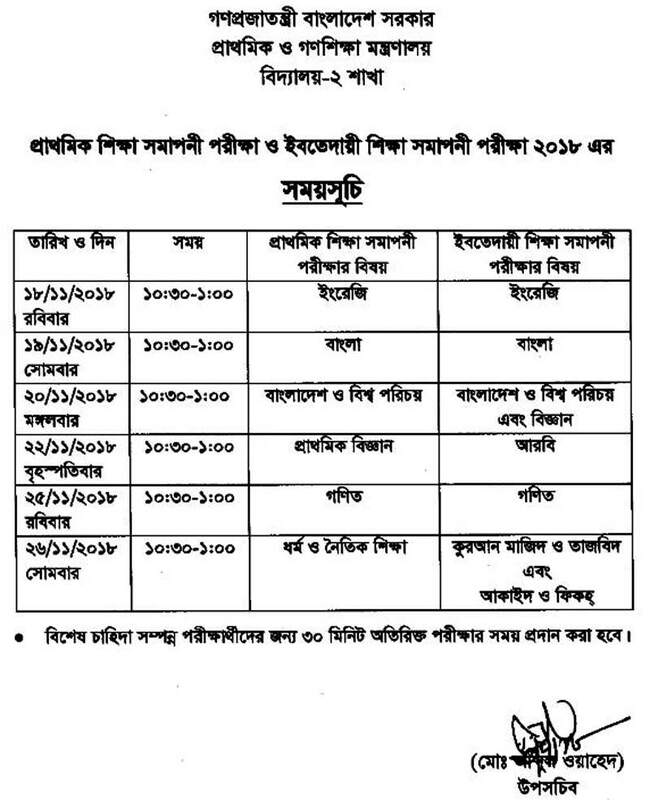 PSC and Ebtedayee Exam Routine 2018 related all information is available my website https://bdloan24.net/. 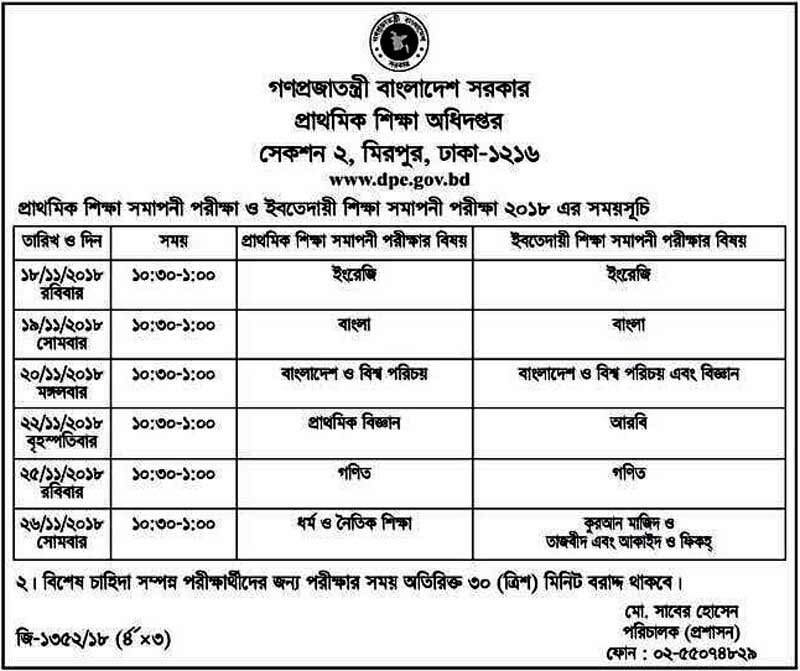 Every year Directorate of Primary Education-DPE controls PSC Exam and Ebtedayee Exam which is under the Ministry of Primary and Mass Education. Previous years PSC and Ebedayee exam will be started at 11:00 am and completed at 1:30 pm. The total duration of the exam is two and a half hours. PSC Result 2018 will be published on 30th December 2018. Primary Scholarship will be given to 82 thousand and 500 students. 33 thousand students will get Primary Scholarship in talent pool grade on the other hand 49 thousand and 500 students will get Primary Scholarship in general grade. talent pool and general grade scholarship students will get 300 and 225/- taka per month respectively. PSC Scholarship Result 2018 will be published in the month of March 2018.